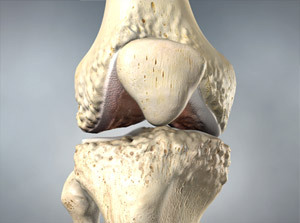 In 2006, more than 1.1 million hip or knee replacement surgeries were performed. Joint replacement can relieve pain and enable individuals to live fuller, more active lives. If you and your orthopaedic surgeon have decided that you are a good candidate for joint replacement surgery, you will need several weeks to prepare, both physically and psychologically. By planning ahead and following these recommendations, you can help ensure a smooth surgery and a speedy recovery. Talk to your doctor. Learn what to expect before, during, and after surgery. Ask about the process of being admitted to the hospital, the type of anesthesia you might need, the type of implant that will be used, the length of stay in the hospital, rehabilitation, and pain management. The more you know, the better you will be able to face the challenges and changes that joint replacement surgery will make in your life. Don’t ever hesitate to ask questions, voice concerns, or speak up when you do not understand. During the weeks before your surgery, many people will be asking about your insurance coverage, medical history, and legal arrangements. You may feel that you are answering the same questions over and over again, but this is necessary to meet quality assurance and medical insurance guidelines. If you have everything written down, you can reduce your frustration and speed the process. > A designated family member or friend who will be your primary contact to receive information from the doctor and then give it to other family members and friends. > A list of all the doctors you currently see and your reasons for seeing them. Provide names, addresses, and phone numbers. 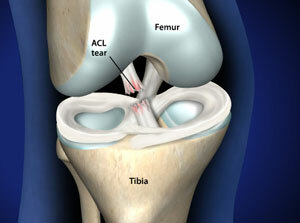 > A list of medical conditions and all previous operations, including those that are not bone-and-joint operations. > A list of all the medications you currently take on a regular basis. Copy the name of the medication, the dosage and the frequency (daily, twice a day, etc.) from the prescription bottle. Don’t forget to include vitamin and mineral supplements or other over-the-counter medications you take regularly. Your doctor may advise you to stop taking certain medications or supplements a week or two before your surgery. > A list of any allergies or adverse reactions you’ve had to drugs or anesthesia in the past. Provide the name of the drug, why you were taking it, a description of your reaction and when this happened. > Any dietary restrictions or other health problems you have, such as diabetes, asthma, HIV, or hepatitis. > A list of your insurance coverages, including the name of the insurance company, the plan or group number and contact information. Be sure to bring your insurance cards to the hospital with you. > Information about any legal arrangements you have made, such as a living will or durable power of attorney. Bring a copy of the documents with you to the hospital. > If you smoke, cut down or quit. Smoking changes blood flow patterns, delays healing and slows recovery. > If you drink, don’t have any alcohol for at least 48 hours before surgery. > If you use any other types of controlled substances, tell your doctor. Narcotics and other drugs can have an impact on your surgery. > Eat well. If you are overweight, your doctor may recommend a weight loss program. > Ask your doctor for pre-surgical exercises. If you are having hip or knee replacement surgery, doing exercises to strengthen your upper body will help you cope with crutches or a walker after surgery. Isometric exercises can help maintain the strength of your leg muscles. Also ask about the exercises that will be prescribed after surgery. If you familiarize yourself with these postoperative exercises and practice them now, they will be easier to perform after the surgery. Recovering from joint replacement surgery takes time. You can take steps now that will help make your recovery easier and faster. > Planning ahead is key to minimizing stress and optimizing your outcome. > If you live alone or have other special needs, consider going to a specialized rehabilitation facility after discharge from the hospital. Your doctor can suggest appropriate places to consider. Although you may not be able to make a reservation at the facility, you may want to visit it before your surgery, take a tour, and meet some of the staff. This can ease the transition process from the hospital to the rehabilitation facility. > Arrange for someone to take you home and to stay with you for several days after your surgery. > If you do the cooking, make double batches of everything for a week or two before your surgery. Freeze half, and you’ll have two weeks of ready-made meals when you get home. Or stock up on ready-made foods that you enjoy. > While you are in the kitchen (and in other rooms as well), place items you use regularly at arm level so you do not have to reach up or bend down. > Borrow a walker or a pair of crutches and see how well you can maneuver through your home. You may need to rearrange furniture or temporarily change rooms (make the living room your bedroom, for example). > Remove any throw or area rugs that could cause you to slip. Securely fasten electrical cords around the perimeter of the room. > Consider modifying your bathroom to include a shower chair, gripping bar, or raised toilet. > Shop for things that will make your life easier after surgery. Your list might include a long-handled shoehorn, a long-handled sponge, a grabbing tool or reacher, a footstool, a big-pocket shirt or soft shoulder bag for carrying things around. > Set up a “recovery center” where you will spend most of your time. Things like the phone, television remote control, radio, facial tissues, wastebasket, pitcher and glass, reading materials and medications should all be within reach. > If you do not already have a parking permit for a disabled person, apply for a temporary permit several weeks prior to your surgery. Contact the Department of Motor Vehicles, or your doctor’s office may have an application form. > Your primary care physician or an internist will conduct a general medical evaluation several weeks before surgery. This examination will assess your health and your risk for anesthesia. The results of this examination should be forwarded to your orthopaedic surgeon, along with a surgical clearance. > If you will be donating your own blood for the surgery, donation times should be scheduled at least one week apart, beginning about six weeks and ending approximately five days before your surgery. During this time, you should be especially careful to eat properly and take a daily iron supplement. > Shortly before your scheduled surgery, you will probably have an orthopaedic examination to review the procedure and answer any last-minute questions. > The anesthesiologist will meet with you to discuss the type of anesthesia that will be used. > You may need to take several types of tests, including blood tests, a cardiogram, a urine sample and a chest X-ray. > Advise your surgeon of any medical conditions you have and of all the medications you are taking. You may need to stop taking certain medications or your surgeon may recommend substitute medications until your surgery. Medications such as corticosteroids, insulin or anti-coagulants will need to be managed before and after surgery. > If you are also planning dental work such as extractions or periodontal treatments, schedule them well in advance of your surgery. Do not schedule any dental work, including routine cleanings, for several weeks after your surgery. > Notify your doctor if you come down with a fever, a cold or any other illness in the week before the surgery.